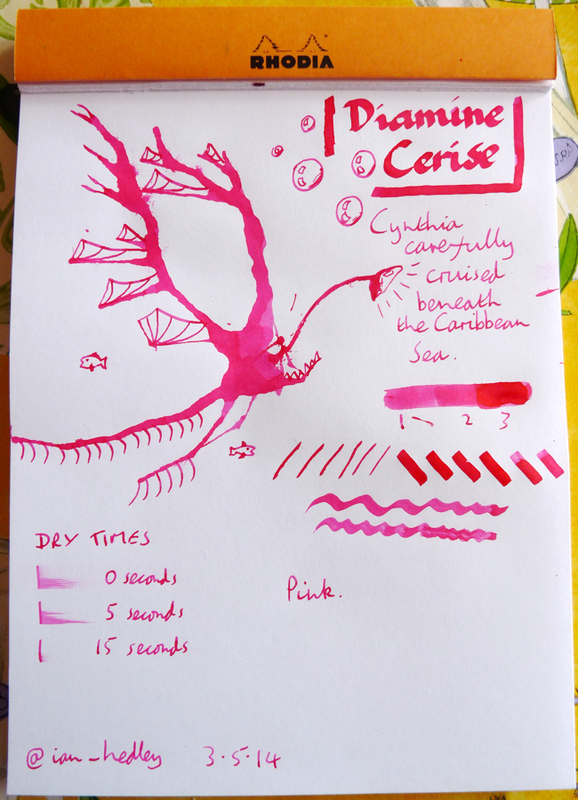 Diamine Cerise ink review – Pens! Paper! Pencils! 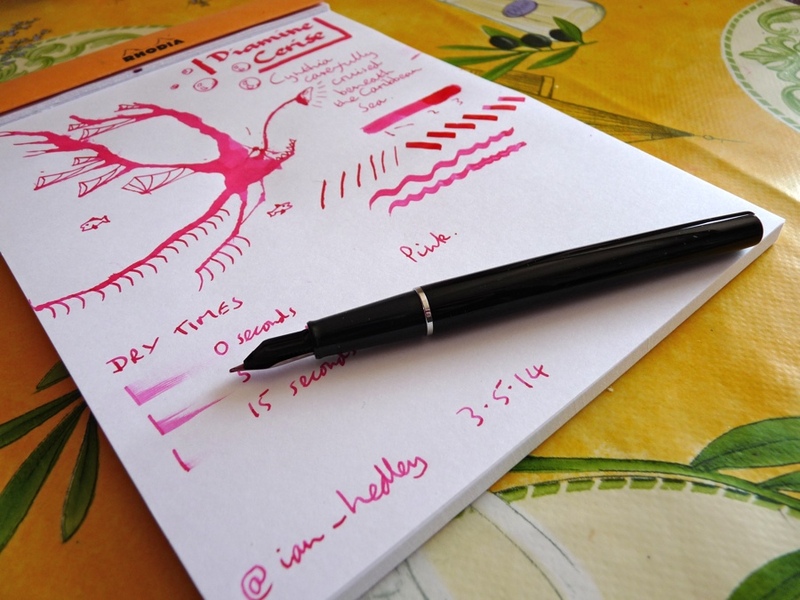 If you want a very bright bubble gum pink then this is the ink for you! Boy, is this ink pink.